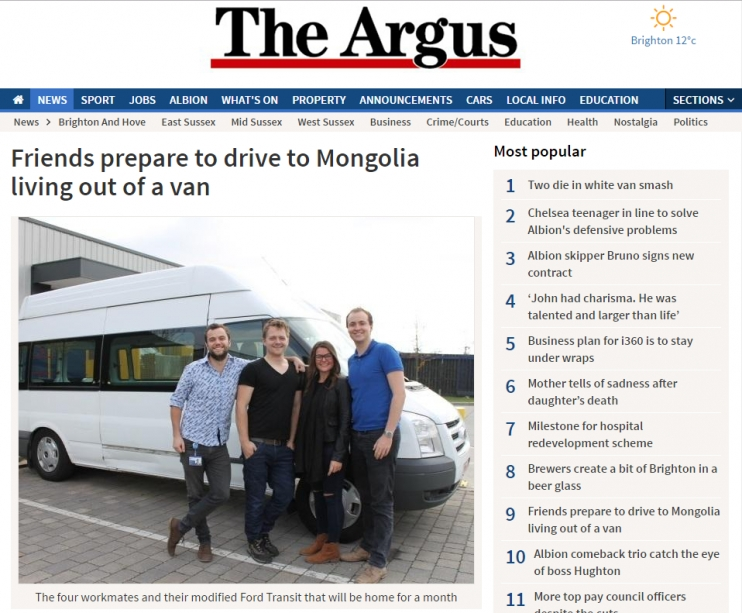 Avtrade members of staff who will be participating in 2017 charity rally Mission Mongolia, have been featured in local newspaper The Argus. The Mission is raising money for three amazing charities; Go Help, Chestnut Tree House and Mind and as a main sponsor of the Mission, Avtrade is thrilled to show its continued support for the crew and all involved in the project. For the full story please follow the link below!